In addition to its exercise room, Golden Clouds features a large range of recreational and exercise equipment for the young and old alike. Our child-friendly playground and wading pools can entertain the youngest children while our games room with ping pong table and multiple board games can be enjoyed by all ages. 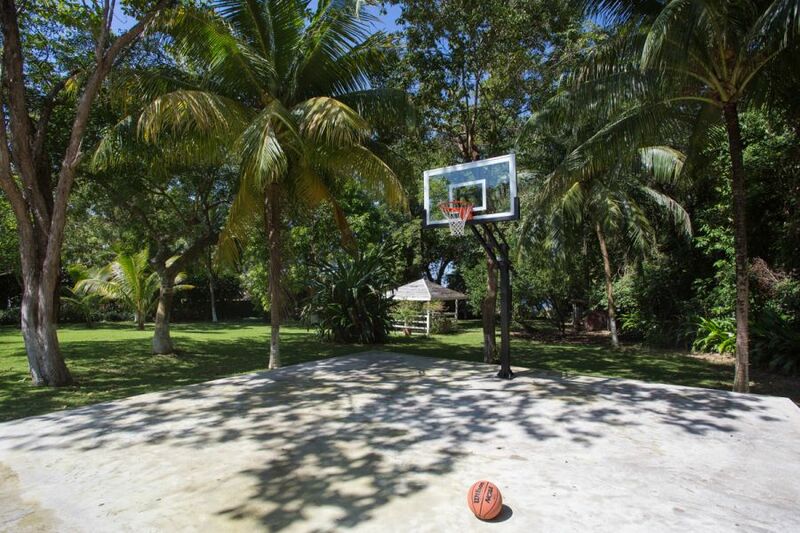 Recreational facilities and equipment at Golden Clouds include tennis, shuffleboard, croquet, volleyball, and basketball. We have included all racquets, balls, etc. required to use any of the recreational equipment on the property and all our equipment is well-maintained to assure maximum safety. 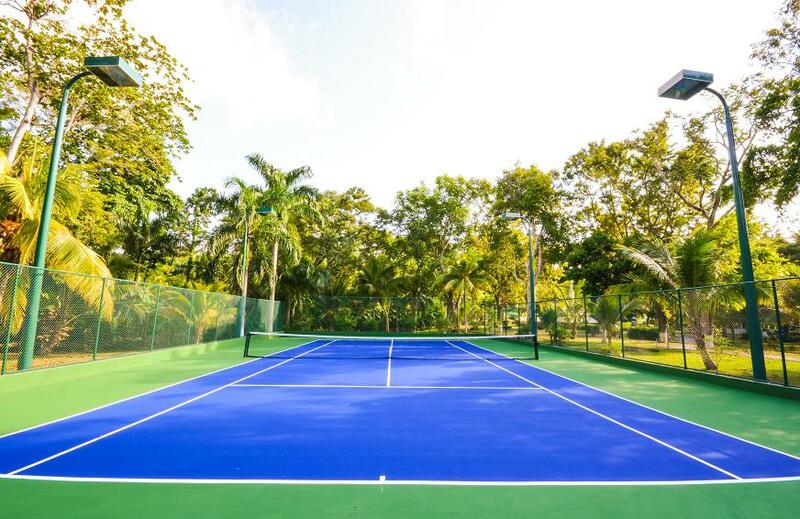 Our tennis court is a regulation-size court for singles or doubles tennis and is fully fenced and well-maintained. In addition, the tennis court has lighting for playing in the evenings. A fully qualified tennis pro is available to provide lessons at reasonable rates. Located near the tennis court is a basketball half-court with regulation hoop and backboard on a smooth concrete playing surface. Adjacent to the tennis court is the shuffleboard area, which has a well-maintained shuffleboard deck and all required equipment to play. Our volleyball court is located on the main lawn. 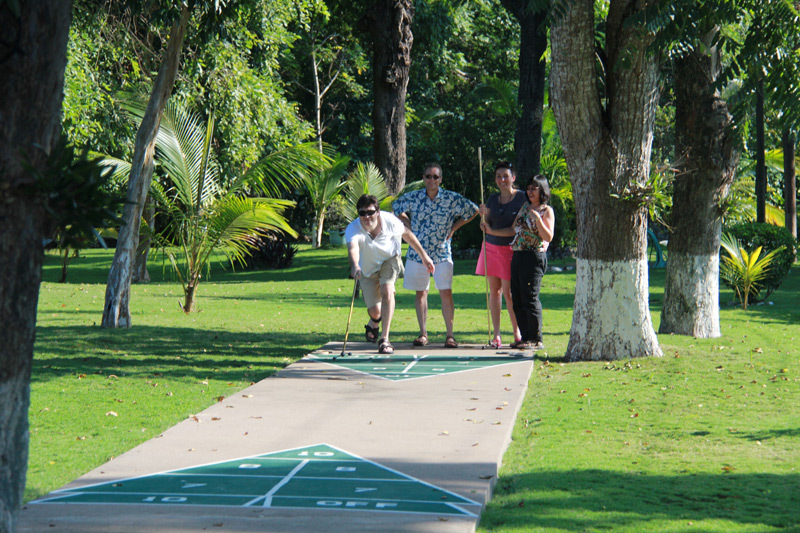 Croquet is also played on the main lawn or on the lawn by the garden villa. The playground is located near the shuffleboard area and is intended for young children. It consists of a sandbox, jungle gym, and swing set.